It was a windy month, but when people got out, there were plenty of fish in the sea. The grass is populating the flats, the water temps have been fairly consistent in the mid-60s, and the water is clearing after the recent storm fronts. 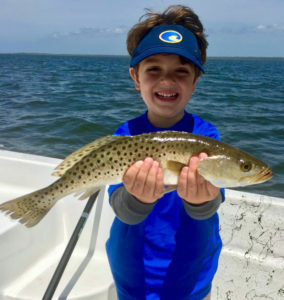 I’ve had reports all the way from Fish Creek and Piney Point to the north, to Drum Point and Pepperfish to the south, and fish are being caught everywhere. This past week the water was a little clearer to the north, but all will be clear in a day or so. 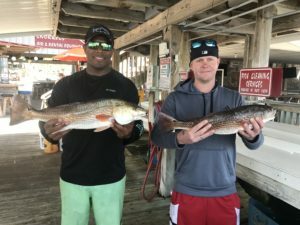 Here are some pics from this month’s catches. 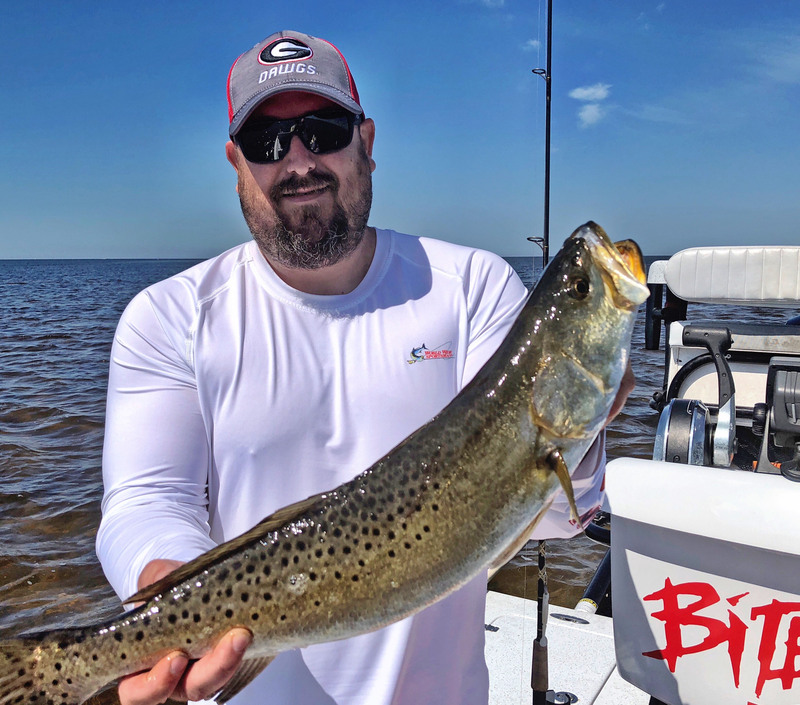 Mike Holland from Kingsland, Ga. fished topwater plugs with me at the end of the month and caught this beautiful 5.5 pound gator trout that we released. 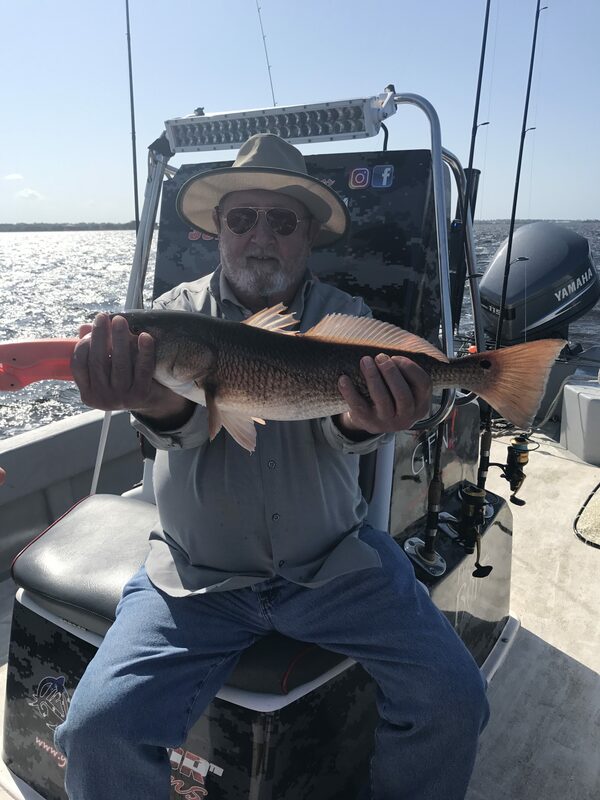 Dave Clark from High Springs with an overslot bull red. 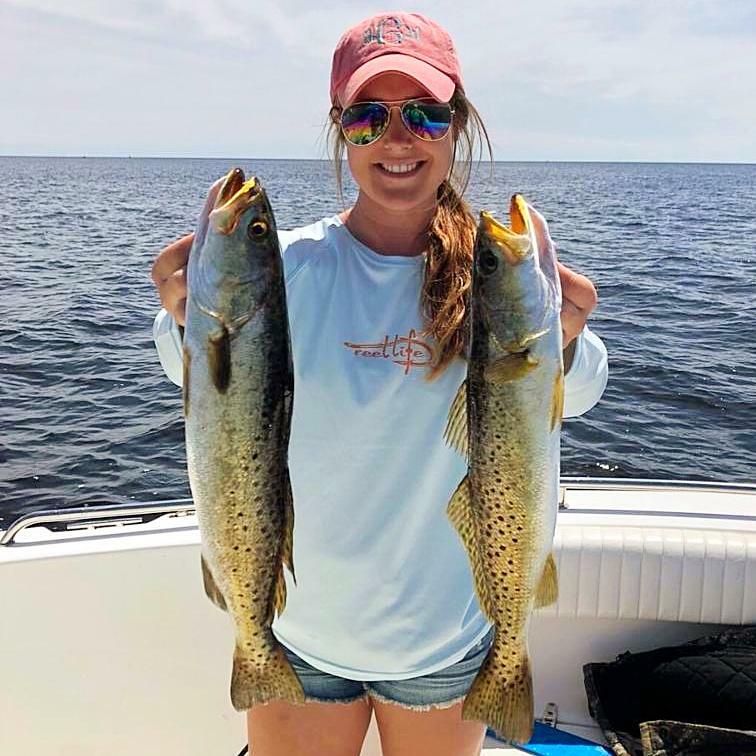 Ashley Chapman from Valdosta scored with some nice trout. 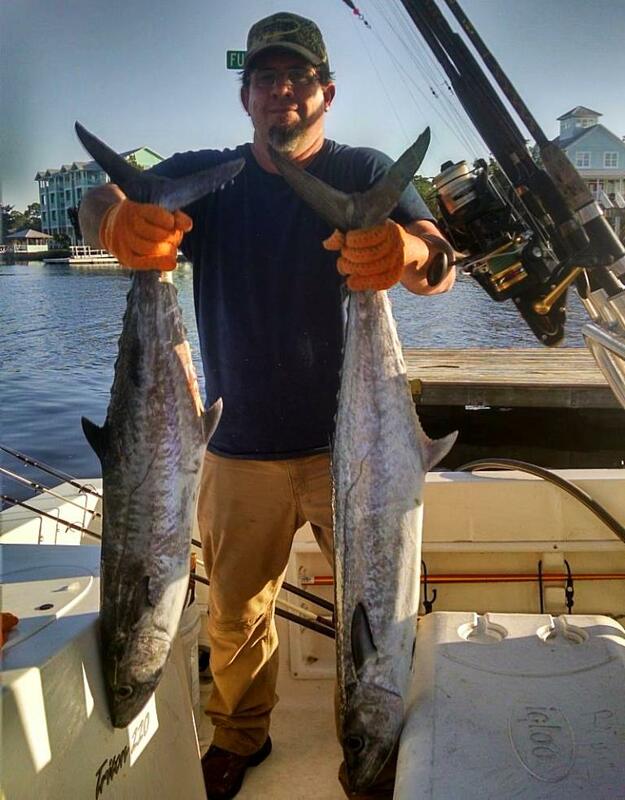 Paul Hudson let us know that the kingfish are migrating. Troy Charles Jr. is taking after his dad with this tournament winning trout. 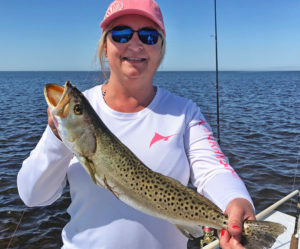 Melissa Cofield from Kingsland, Ga. caught this nice keeper trout. 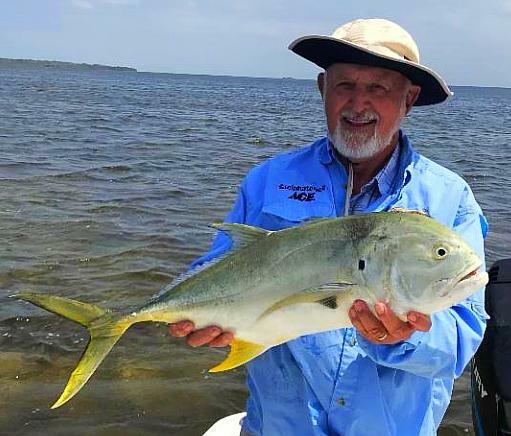 Howard Hart found this hard fighting jack crevalle. Sarah Chavous caught this nice gag grouper, which she can keep now that the season is open in Franklin, Wakulla, Taylor, Jefferson and Monroe counties. Savannah Davis with a golden perfectly sized redfish. Mary Anne and George Cowgill from Atlanta with a giant trout caught on the flats. Norwood’s Fishing for Gold Fundraiser tournament. 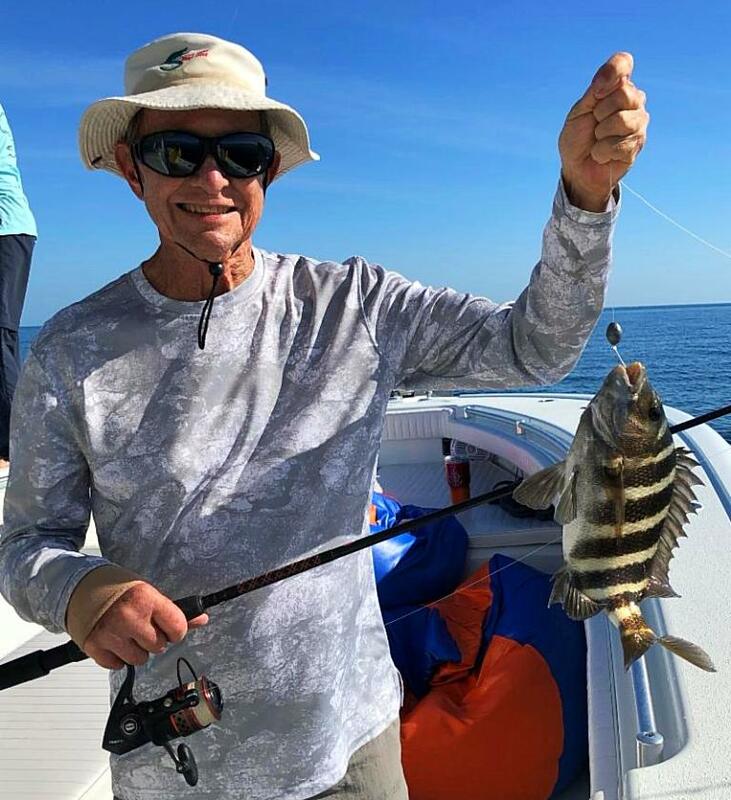 sheepshead. 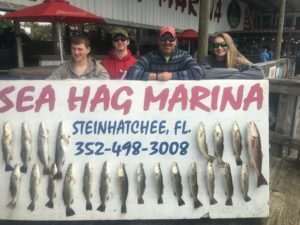 See below for 2018 changes t sheepshead regulations. 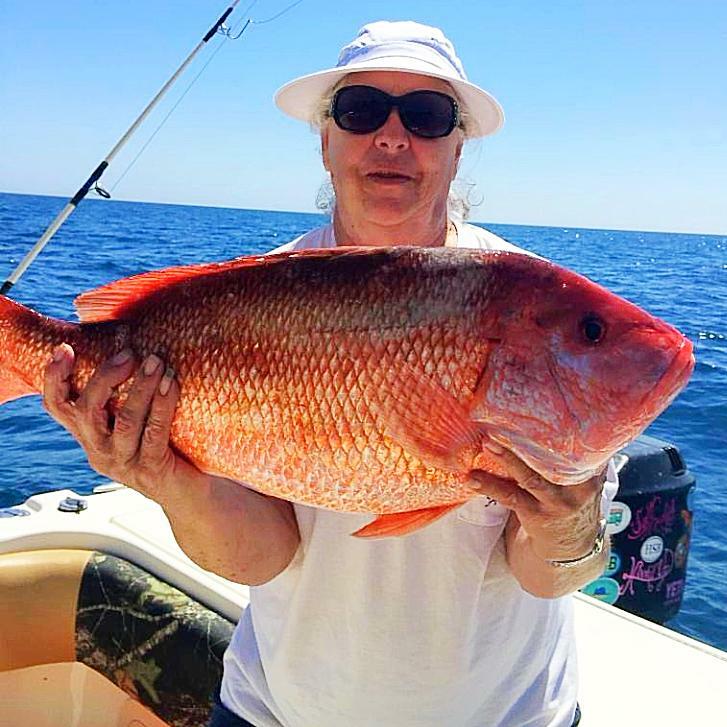 Sarah Chavous had to let this giant red snapper go, but there is exciting news about the snapper season coming up. See details in the forecast below. 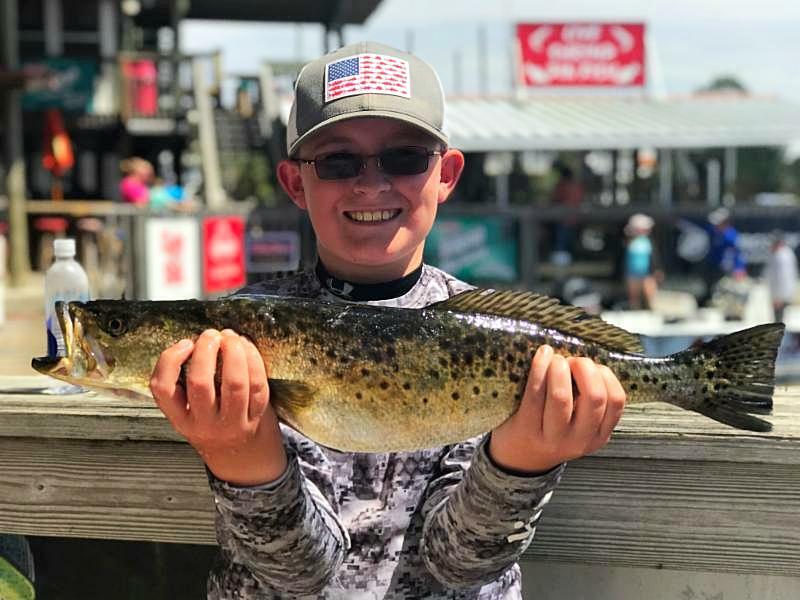 Bryson Johnson from Valdosta caught this trout all by himself. 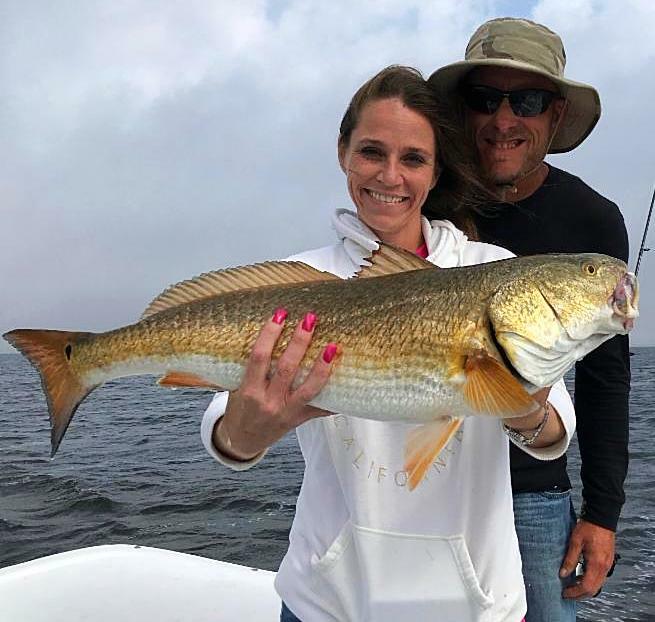 Stephanie Scarborough and Dale Barnes from Ocala came over to catch this bull redfish. 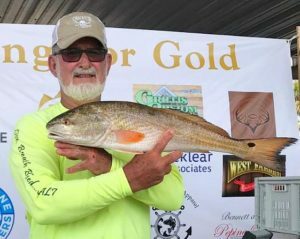 Old pal Jeff Evans with a fine redfish he caught during the Fishing for Gold tournament. Reed Hires from Rincon, Ga. with his keeper trout. 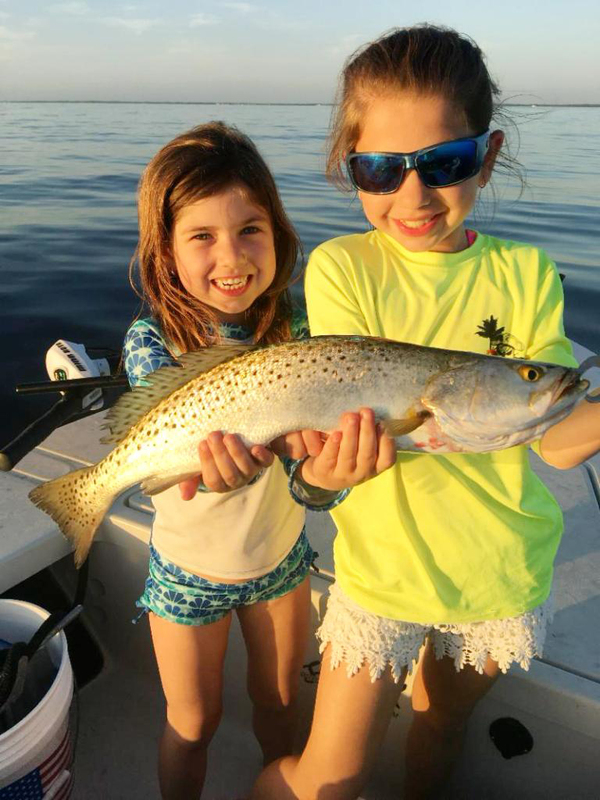 Holly and Harper Rust from Ponte Vedra were real proud of this keeper trout. And Harper brought in this nice flounder. 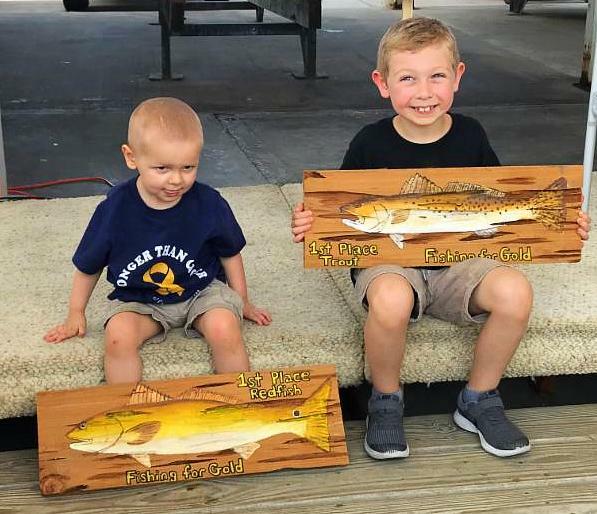 And a special shout-out to Chase Norwood for sponsoring the Fishing for Gold Tournament, which raised money for the medical expenses of three-year old Corbin, on the left, who is fighting brain cancer. Here’s a regulations round-up, complicated as usual, so mark your calendars now. Amberjack: NOAA fisheries announced a final rule on recreational amberjack. 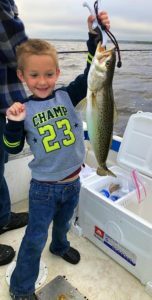 Fishing will be open the entire month of May, closed in June and July, and reopening from August 1 through October 31st. 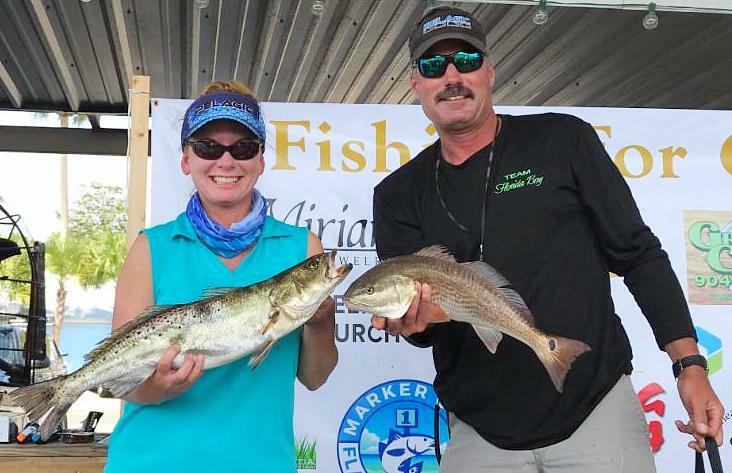 Gag grouper are currently open in state waters of Franklin, Wakulla, Jefferson and Taylor counties through June 30th. The season will re-open September 1 through December 31st. 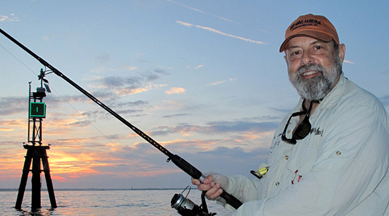 For the rest of the gulf, state and federal waters are open June 1 through December 31st. Red snapper: There will be a forty day recreational red snapper season in the gulf again this year in both state and federal waters. The season will run from June 11th until July 21st. 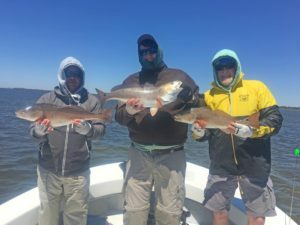 There are a number of tournaments in May: the Optomist Club Tournament is on May 5th, a Florida Pro Redfish Series event takes place on May 12th, the Greg Bishop Memorial Tournament on May 19th, the Cerberus Tournament for veterans and first responders is May 26th, and the summer-long CCA STAR Tournament begins May 26th and ends September 3rd. 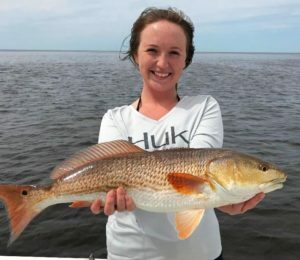 Don’t forget to register for the STAR Tournament, targeting tagged redfish with an amazing list of prizes. The weather will begin to calm down a lot this month, leaving it one of the best fishing months, with moderate temperatures, and no scallopers quite yet. 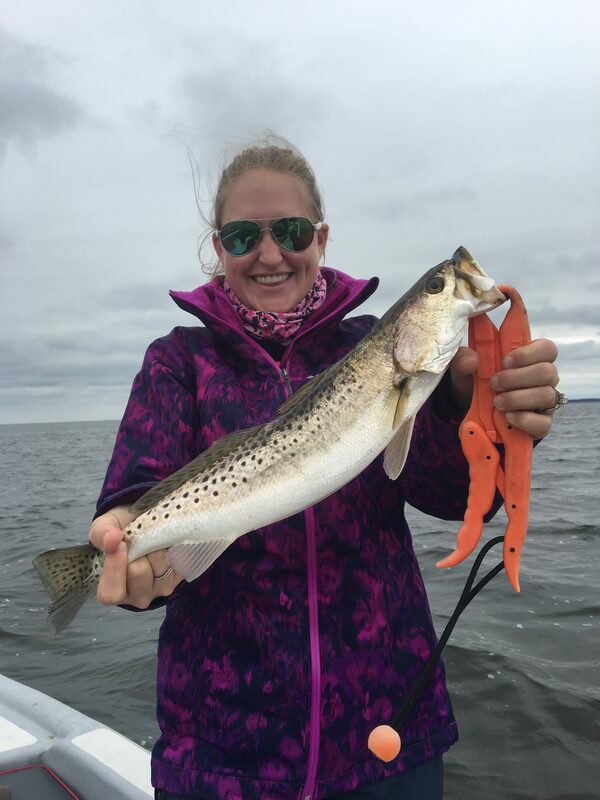 Some excellent trout have been caught on the flats, and also in deeper grassy areas 6-10 feet in depth. The water is warm enough now for topwater fishing, but jigs, popping corks with Gulp baits and live shrimp have also been producing very well. 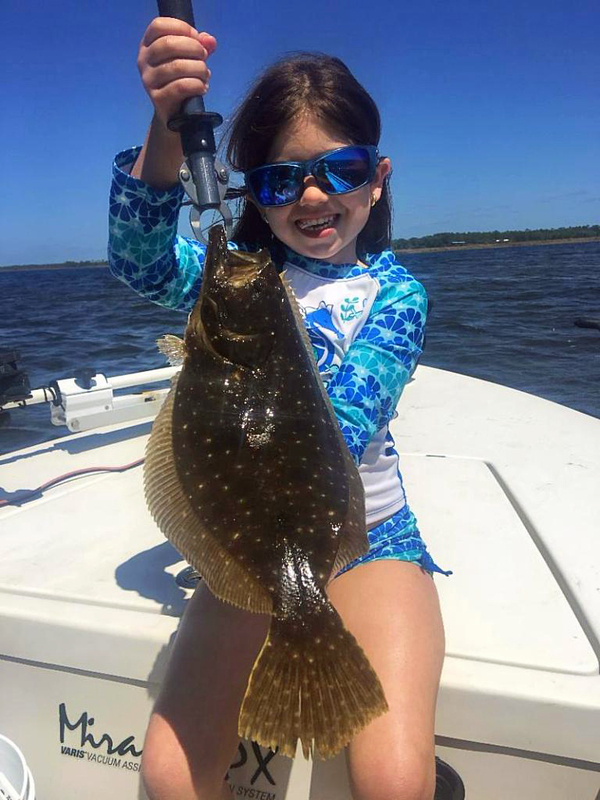 Flounder continue to be plentiful, although a little small this time of year, around sand areas near structure. 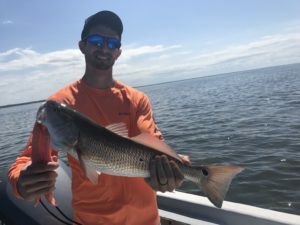 Redfish are tightly schooled, although there are certainly plenty of fish that are solitary. Places to try are Drum Point and the areas in front of Pepperfish on the rocky flats, and Tater Island/Sink Creek to the south, and Rock Point, Fisherman’s Rest and Long Grass Point to the north. 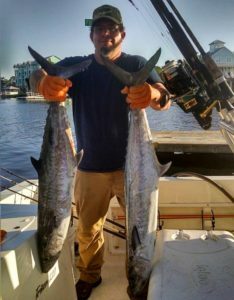 Kingfish, Spanish mackerel and cobia are now migrating into our area. 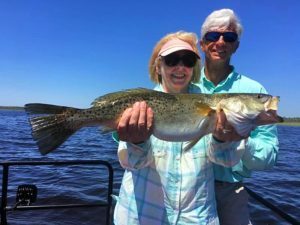 May is a prime month for Spanish, so look for schools of whitebait near the offshore bars and troll spoons or jigs with wire leaders. And scallop season is looming on the horizon. Let’s hope for minimal rainfall so the flats will remain crystal clear, and remember to make your reservations. 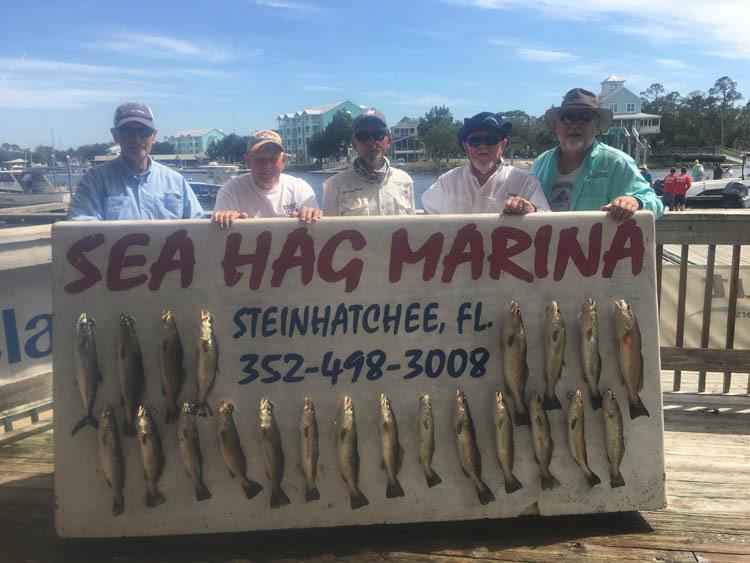 June 16th through September 10th the Hatch will be hopping. Don’t miss out on the best family time of the year to visit. Reserve your accommodations, rental boats, and guides now while you have a chance. You can get fishing licenses, snorkeling equipment, and dive flags at our Ship’s Store. 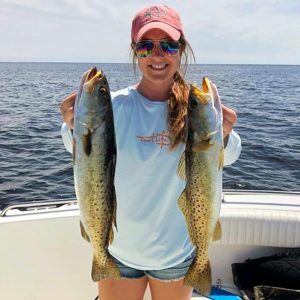 See you on the water! Reduce the recreational bag limit from 15 to 8 fish per person, per day year-round. 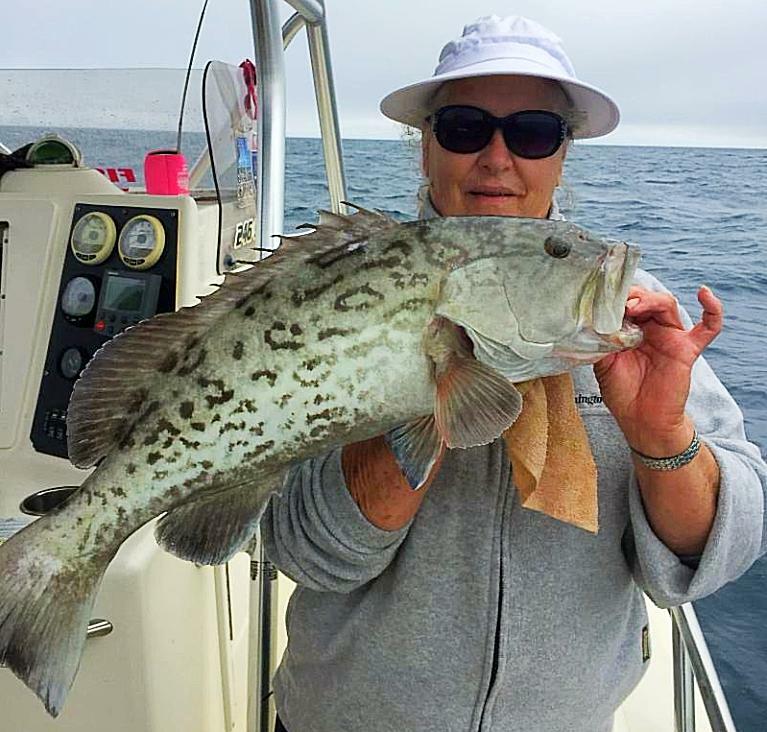 Create a recreational vessel limit of 50 fish per vessel, per trip during March and April. 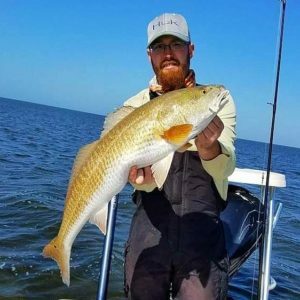 Extend all of the FWC’s recreational and commercial regulations for this species into federal waters (including the new bag and vessel limits). 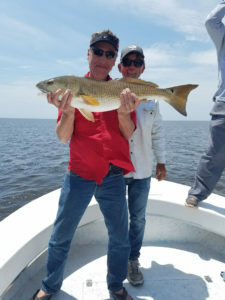 The fishing has been wonderful here recently. 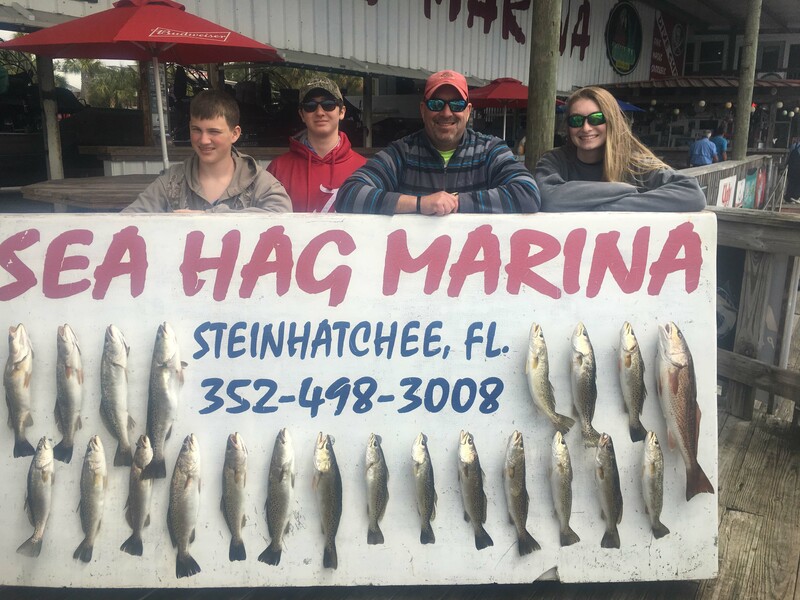 The weather has been great and the fish have been biting. Soon the focus in town will shift to scalloping and Marker One will be ready when it does. 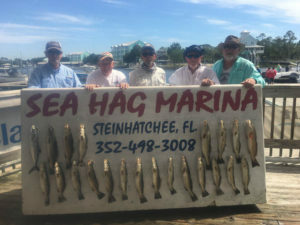 One way or another come see us here at Sea Hag and we will put you on whatever type of game you are looking to find.